It has been a while since I have posted anything, so I thought I would do so today. 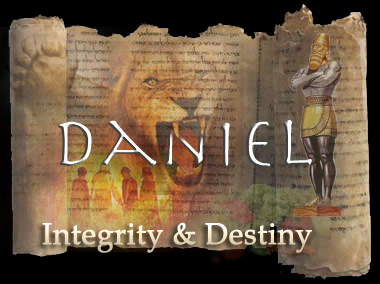 Beginning October 18, I will begin preaching through the book of Daniel, in a series entitled “Integrity & Destiny: The Portrait of a Leader”. Daniel is one of those books where the application lessons to bridge ancient texts into today’s world are endless. Daniel is living in an idol infested society filled with astrologers, magicians, and of course leaders who can’t lead. Yet, Daniel is a man filled with the grace of God giving us example after example about how we could live above the filth and selfish lifestyle by being people of integrity and destiny. Our world aren’t that different.